We just ran out of homemade jam. It is quite a terrible thing and I'm wondering if I should bust out the frozen berries to make more jam. Last summer we didn't do as much canning as we normally do because we were out of town for almost a month during prime canning season. This year, I'm sure I'll more than make up for it, but I wanted to let you all know about my favorite jam that I've come up with so far. It's a fantastic mix of blackberries, spices and complex flavors. 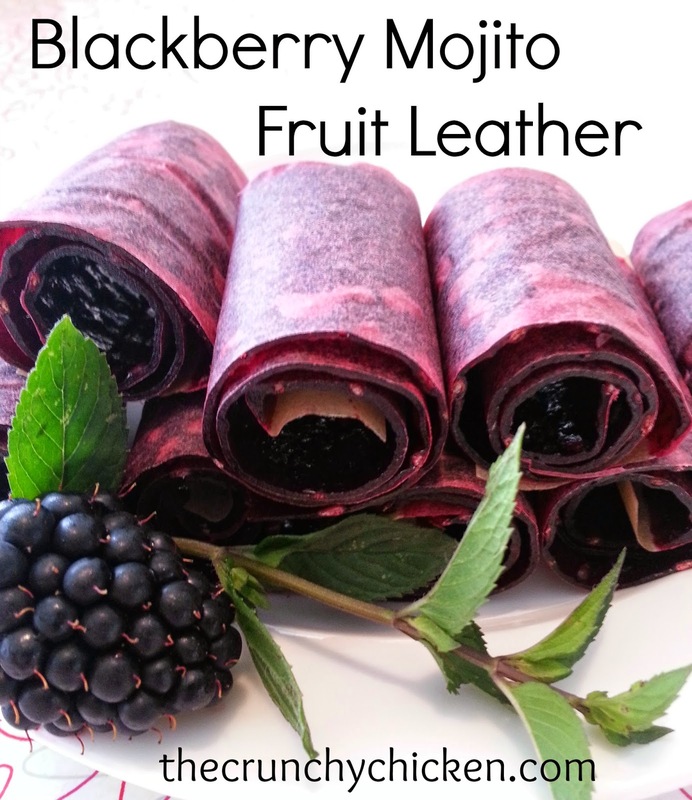 When I made this last year, I was trying to figure out what additional flavors would go well with blackberry and decided to give fresh ground black pepper and barrel aged rum a try. I was not at all disappointed. Rinse and measure blackberries and add them to a large, non-reactive pot. In the meantime, sterilize 9 half-pint canning jars and lids in a water bath canner. Heat the berries over high, adding in the grated lemon peel and blending. As the berries start to reduce, freshly grind in about 2 teaspoons black pepper on a medium or coarse grind. As the berries further reduce, gradually stir in the fruit pectin. Bring mixture to a full boil until it cannot be stirred down. Add the entire amount of sugar and stir. Return to full boil and boil hard 1 minute, stirring constantly. Immediately take mixture off the heat and add in the rum. Stir until the rum is well incorporated and the alcohol is cooked off from the residual heat (it will reboil when you add in the rum). Fill your canning jars with jam, leaving 1/4 inch headspace. Apply lids and process the jars in a hot water bath for 10 minutes (adjusting for altitude as per the instructions that come with your pectin). Remove jars and allow to cool for 12 - 24 hours and store. Assuming you don't eat it all as soon as it's cool. *For the rum, I used Barbancourt Rhum Reserve Speciale, aged 8 years in oak. Mmmmm! This recipe looks delish. 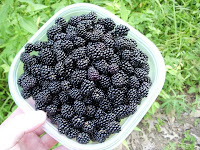 We were out of town during prime blackberry season last summer too so our pickings were slim. 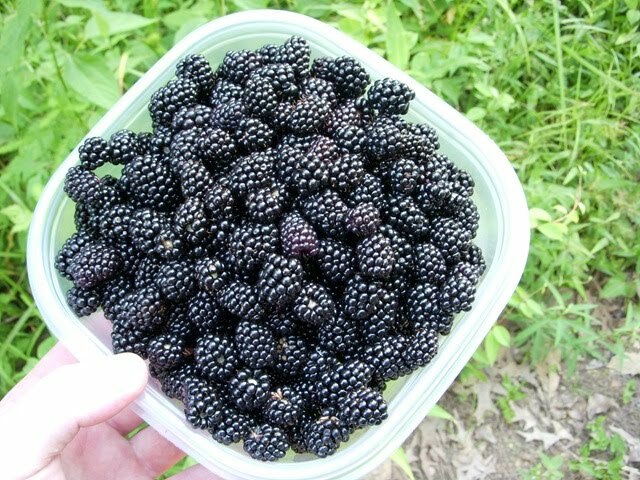 This summer we're going to pick a ton though and we'll make jam if it kills me! Thanks for the recipe. Ohmygosh, Crunchy, no more homemade jam in the cupboard?! That would be a dreadful sight. That sounds amazing! I am sad, though, that you are out of jam. I have quite a bit left this year, but am getting concerned about my salsa supply! That recipe looks fabulous! I bet it would be delicious on a cheese board. what a unique-sounding recipe! just so happens there are some blackberries in the freezer that have been waiting for just such a recipe! thanks! Oh, this sounds delicious (especially after opening up a jar of store bought jam, which was very far removed from stellar). I feel your pain. I am on my last container of Strawberry Freezer Jam. I don't know how I'll survive without the heady aroma of strawberry jam in the mornings. I'll probably succumb to Dundee Orange Marmalade, but it won't be the same. This year I'm going to graduate to real (cooked) jam, I might have to try this one. It sounds divine. EngineerChic - You have a point about freezer jam. It always tastes more "fruity and fresh" than the canned stuff, probably because of the reduction in sugar and less cooking. But, I like not relying on my freezer to keep our immense number of jams we jar each year from spoiling. What a great recipe! I have used black pepper in some of my jam recipes and liquor in others but never together! can't wait to try it. Thank! Just made a batch of this jam, very good! The next batch I make I'm going to add some lemon drop peppers and make a pepper jelly out of it. Have you ever tried making a cherry jam with bourbon, that is one of my favorites I've come up with. Enjoyed your inspiration and the recipe.